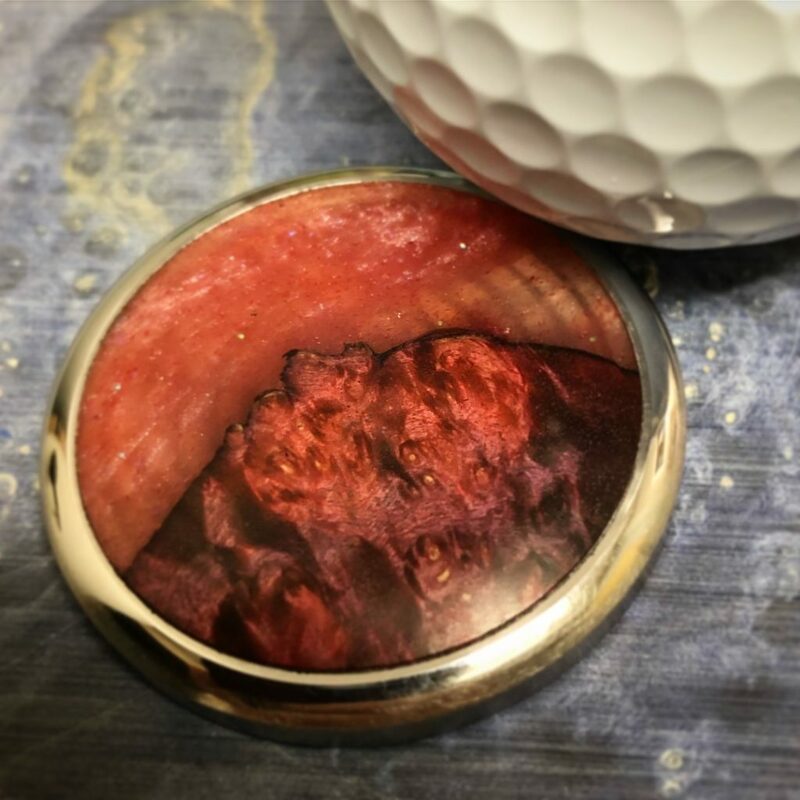 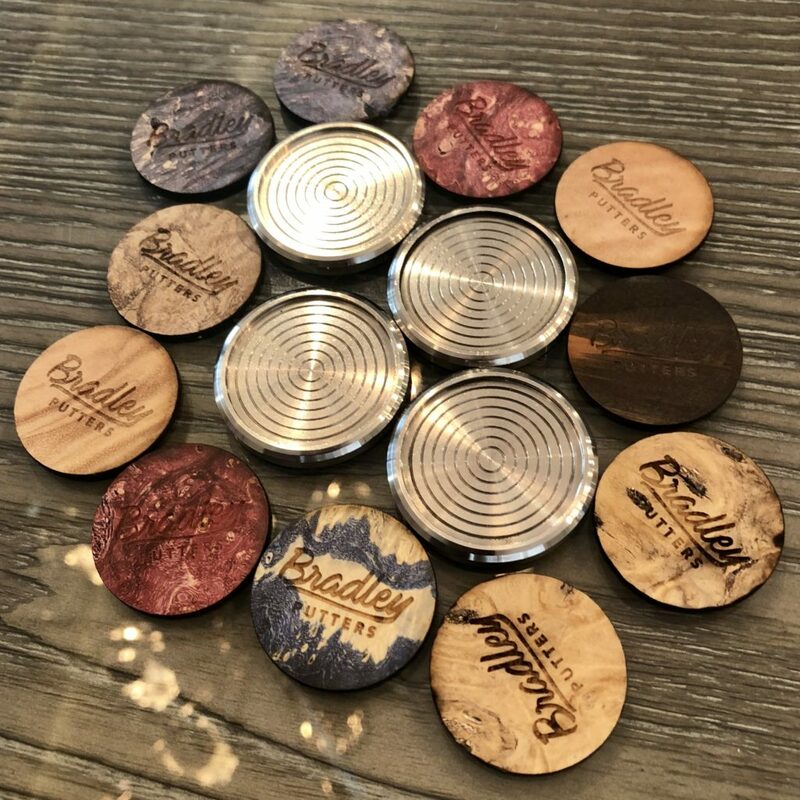 We’ve got quite a few random ball markers that were either prototypes for a custom job, practice ones, or just ones we did for fun. 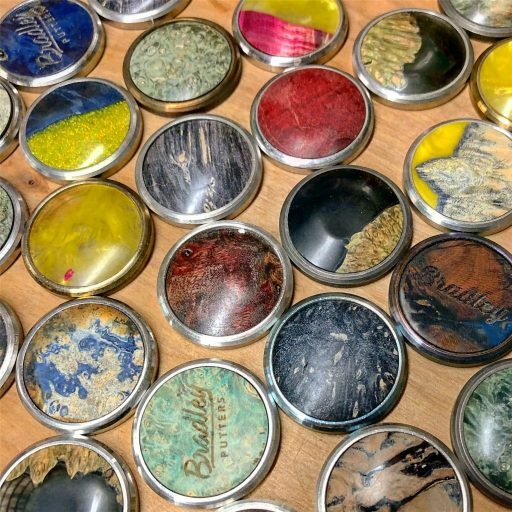 Score a deal today on some ball markers! 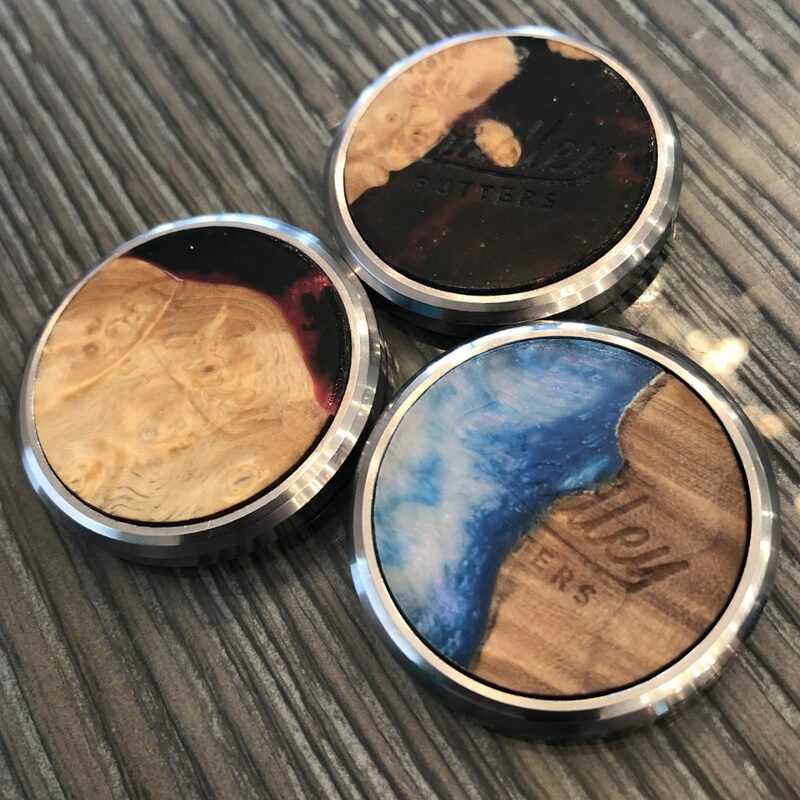 It will have a wood or wood/acrylic face, a stainless steel back, and will be either a steel look, torched look, or something else entirely. All we can promise is that it will be sick!